Be there to start your drive to the Cadet and Junior Nationals. Results will be posted the day after the tournament. 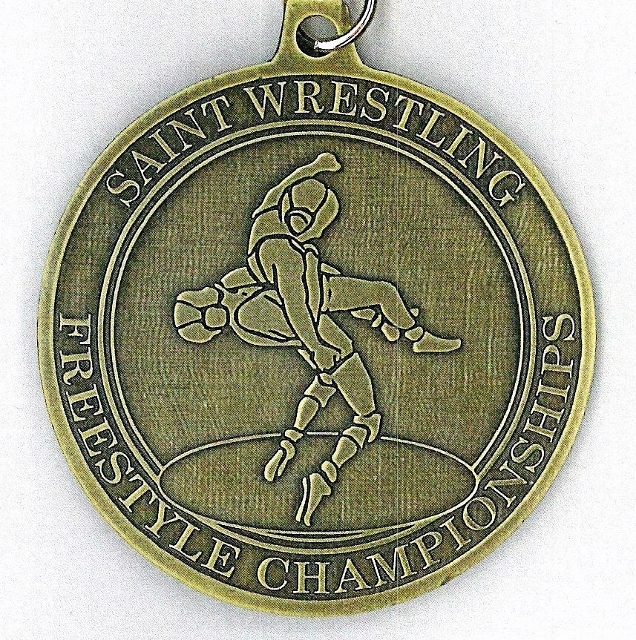 St. Stephens Freestyle Open tournament was first wrestled in 1986. It was began by Mr. RL Lail of Hickory while coaching at the Arndt Middle School which is the feeder middle school for St. Stephens High School. Mr. RL Lail later formed our founding club called CATAWBA RASSLIN' which has renamed Saint Wrestling in 2010. This tournament has been wrestled at St. Stephens High School annually since 1986. It has only been cancelled one time in 2010 due to snow. It is the longest continuously schedule freestyle tournament in the state of North Carolina. Current tournament results are available on TrackWrestling. St. Stephens Freestyle Open -March 1, 2008- Results . CATAWBA RASSLIN' /Saint Wrestling is a local wrestling club that is a member of North Carolina/USA Wrestling Association and USA Wrestling. We are searching for young people who are interested in the sport of wrestling. We participate in Scholastic, Olympic Freestyle and Greco-Roman wrestling. Membership is open to all ages of boys and girls from preschoolers to college students and beyond. You may know that most elementary schools in this area provide athletic activities such as football, basketball, and soccer. We provide the only non-school related training in the St. Stephens area for the sport of wrestling. We are the only wrestling organization in the northern Catawba area that properly prepares young people for competition at the Junior High and High School levels. It is important to remember that wrestling is a scholarship sport on the college level. CATAWBA RASSLIN' /Saint Wrestling members compete as a team and on an individual basis. Unlike other team sports that limit the number of players that can actually be in the game or a player is only given minimum playing time, our wrestlers compete in every tournament and always to the level of the wrestler's ability. In many tournaments, our wrestlers have competed against each other for the Gold Medal. Many of our members have successfully participated in State, Regional , National, and International competitions. It is also important to note that a wrestler competes on an equal basis with his opponent. Wrestlers are classified by age groups and separated by weight divisions at every tournament. Scholastic tournaments are classified by grades. Olympic Freestyle and Greco-Roman tournaments are divided by year born. At most local tournaments, weights will be combined like Madison weights to get the best fit of available wrestlers within guidelines to achieve a weight class.